The Atlantic's mix of disappointing and surprising teams should make the trade deadline a busy one. Expect the Panthers, Bruins, Lightning and Red Wings to do some shopping, meanwhile the Senators, Canadiens, Sabres and Leafs are looking towards next year. The Bruins want to maximize their assets while remaining competitive. That means moving out some of their older players and expiring contracts while looking for a few cheap rentals for the playoff push. 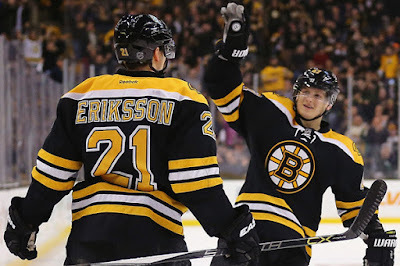 Loui Eriksson - W - Pending UFA - The Bruins continue to work their way out of cap hell and get younger amidst a retooling season. Still, there's a decent chance the Bruins hold onto Eriksson for their playoff push. Eriksson has drawn interest from Anaheim, Detroit, Chicago and Ottawa, but more teams are likely to inquire closer to the deadline. Alex Khokhlachev - W - ELC - The prospect winger expressed his displeasure with the Bruins organization in the summer, making it clear that he either wanted to play full time for the Bruins or be traded. Neither has happened, yet. It's been quiet on this front for months, but look for Khokhlachev to get dangled in the coming days. Malcolm Subban - G - ELC - Subban's name has surfaced for the last year or so, given the presence of Tuukka Rask and prospect Zane McIntyre. The Leafs are the only known team to have kicked tires, but there are surely plenty other NHL teams that would be interested. Subban had a scary throat injury may scare off teams for now. Dennis Seidenberg - D - UFA in 2018 - Like the previous two, Seidenberg has seen his name in trade rumours. Likely not moved in season with the Bruins looking competitive. 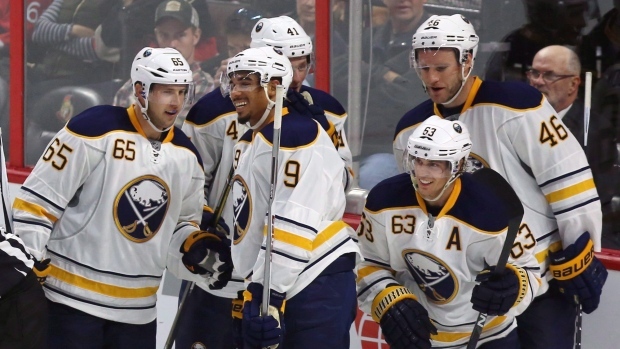 The Sabres haven't hidden the fact that they're sellers at this year's deadline. The 2015-2016 season was full of improvement, but there is still much work to be done. Steven Stamkos - C - TB - Pending UFA - This interest dates back to the 2015 NHL draft. It's not clear how far talks went, but it seems unlikely the Sabres still have interest given their impressive one-two punch of Eichel and O'Reilly down the middle. Even if the Sabres push hard for Stamkos, does he want to go to a situation where he's all but assured to play on the wing? Chad Johnson - G - Pending UFA - With the emergence of Linus Ullmark, pending UFA Chad Johnson seems to be expendable. The problem will be finding a taker in a limited goalie market. Tyler Ennis - W - UFA in 2019 - It's unclear why exactly the Sabres are in a rush to jettison Ennis, but his name is out there. Jamie McGinn - W - Pending UFA - The Sabres have begun shopping McGinn, but the price remains high. All but gone by the deadline. Matt Moulson - W - UFA in 2019 - Moulson loves it in Buffalo, but the Sabres would be happy to shed the underperforming winger's big contract if the right offer came along. The Red Wings don't usually make earth shattering moves at the deadline, but they may choose to use some of their young forward depth for an upgrade. Jakub Kindl - D - UFA in 2017 - Nobody grabbed Kindl off waivers a few weeks ago, but he's still likely to get moved at the deadline. 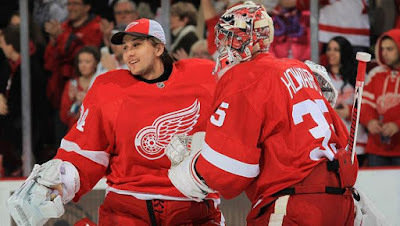 Jimmy Howard - G - UFA in 2019 - Howard has lost the starter's position to Petr Mrazek, and it doesn't look like he's getting it back. Detroit needs cap space and could look to do a pure salary dump deal to a team desperate for goaltending. Calgary has kicked tires. Brendan Smith - D - UFA in 2017 - The Leafs were somewhat interested in Smith at last year's deadline in a proposed deal involving Dion Phaneuf. All we know from this is that the Wings would move Smith. Kyle Quincey - D - Pending UFA - Quincey's name was out there early this season as the Wings looked for roster spots and cap space. Unless it's a Scuderi-for-Daley type cap deal, or part of something bigger, Quincey probably stays for now. Teemu Pulkkinen - W - ELC - Pulkkinen has been brought up in trade talks at various points. The Wings realise they've got a surplus of good young forwards and may parlay that into something bigger. It's been quite some time since we've said this, but the Panthers are an Eastern powerhouse and are all in this year. Andrew Ladd - W - WPG - Pending UFA - It's well known that the Panthers covet Ladd, despite denials from those close to the organization. Brandon Pirri - W - Pending RFA - The Panthers aren't sure if they can resign Pirri, and have been shopping him for a few months now. Rumour has it that the Jets and Oilers have interest. Brian Campbell - D - Pending UFA - Campbell's name has been in the rumour mill for years now. As a pending UFA, the Panthers may want to see what they can get for him if they're unable to resign him. Vincent Trocheck - W - Pending RFA - Same deal as Pirri. Trocheck is playing really well this season; do the Panthers really want to deal him? The Habs have slowly slipped out of the playoff picture with Carey Price still on the shelf. The focus shifts to next season, and the Habs may be looking for a big time shakeup of their roster. Dale Weise - W - Pending UFA - Barring a last minute breakthrough in negotiations, expect Weise to be dealt. The depth energy forward has overperformed, and now might be the time for both parties to cash in. Lars Eller - C - UFA in 2018 - Eller's name has surfaced in trade rumours over the last few years, but they had started to go away as his role on the team grew. Now the rumours are out there again, and it certainly sounds like the Habs are listening. Tomas Fleischmann - W - Pending UFA - The veteran would be a cap friendly rental for a playoff team. The Blackhawks are believed to have expressed interest. Tom Gilbert - D - Pending UFA - The pending UFA blueliner is all but certain to get dealt if the Habs are out of it. 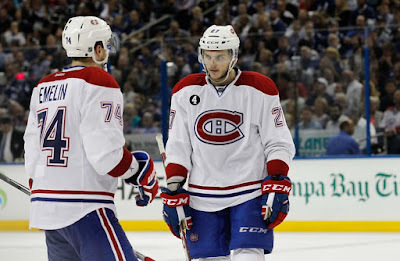 Paul Byron - C - Pending UFA - The Habs like Byron, but will deal him if they can't work out a deal. Michael Bournival - W - ELC - Rumours of Bournival's discontent with his lack of opportunity began swirling in the summer. Something to keep an eye on. Victor Bartley - D - Pending UFA - The recently acquired Barley hasn't managed to crack the Habs lineup as of yet. He can be had by a contender looking for defensive depth. Ben Scrivens - G - Pending UFA - The Habs wouldn't mind getting something for Scrivens, but his 1.7 million cap hit will be a tough sell. Alexei Emelin - D - UFA in 2018 - Emelin has been slowed by injuries, and hasn't been the stud the Habs had hoped for. He's been in the rumour mill for a year or so now. Alex Galchenyuk - C - RFA in 2017 - It's hard to see the Habs going full tank-mode and moving Galchenyuk, but his name has been in rumours for some time now. The Habs would rightfully demand a massive return for the young, skilled centerman. Ottawa needs another Hamburglar miracle to make the playoffs at this stage. Barring the team running the table in the next week or so, expect the Sens to be in sell mode. Patrick Wiercioch - D - Pending RFA - His name is out there as a player who the Sens want to use to get another piece up front. Chris Neil - W - Pending UFA - Last year Neil was close to being dealt, but an injury got in the way. The veteran enforcer is likely playing his last games for the Sens. The Predators and Blues have kicked tires. Chris Wideman - D - ELC - Wideman asked for a chance to play in the NHL this season, otherwise he wanted to be dealt. With the top four in Ottawa secure for the foreseeable future, and top defensive prospects on the way, Wideman may be expendable. 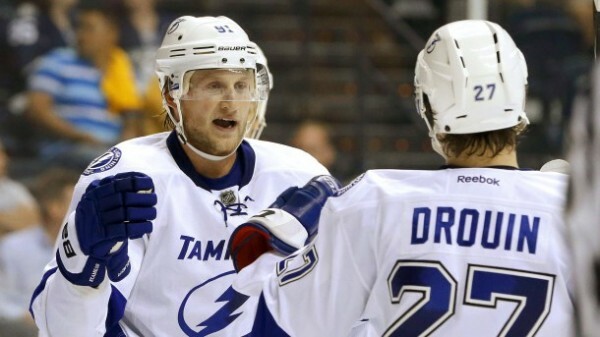 The Lightning may load up for the playoffs, but they have a few contracts they want to jettison at the same time. Defense is a primary focus this year. Jonathan Drouin - W - ELC - Drouin will of course be traded, but the real question is whether that happens at the deadline or in the offseason. The Blues, Habs, Predators, Ducks, Senators, Wild, Avalanche, Red Wings, Penguins, Canucks and Leafs are among the many teams who have shown interest. Matt Carle - D - UFA in 2018 - The Bolts would love to dump the under-performing blueliner and his $5.5 million dollar contract ahead of a few very busy summers of RFA and UFA extension negotiations. An injury to fellow defenseman Jason Garrison puts Carle in a bigger role and probably puts a serious damper on trade talks. Steven Stamkos - C - Pending UFA - Stamkos won't be traded before the deadline, but things could get interesting if this stretches into the summer. The teams interested in him will be limited only by salary cap considerations. 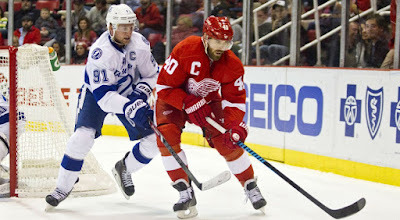 The Red Wings, Leafs, Wild, Sabres, Flames, Rangers, Blue Jackets, Canucks and Canadiens are believed to have interest. Valtteri Filppula - W - UFA in 2018 - Filppula may be on the move as the Lightning look to make space for their pending UFA and RFA core players. Perhaps the most obvious seller in the league, the Leafs are only beginning their roster overhaul. Unless they go after a young asset like Tampa Bay winger Jonathan Drouin, expect it to be mainly veterans traded away for picks and prospects. Roman Polak - D - Pending UFA - Garnering interest throughout the league as a bottom pairing gritty defensive defenseman. The Kings, Capitals, Sharks and Blues are rumoured to have interest. Tyler Bozak - C - UFA in 2018 - The Capitals, Coyotes and Wild have been linked to Bozak. PA Parenteau - W - Pending UFA - Parenteau is having a rebound season under Babcock, and will likely find himself on a playoff contender come February 29th. The Stars and Predators are rumoured to have interest. Leo Komarov - W - UFA in 2017 - Interest in the winger may have peaked earlier in the season when he was on a scoring tear. Things have calmed down, but interested teams keep inquiring. He's a Babcock favourite who might stick around past the deadline. Peter Holland - C - Pending RFA - The depth center has shown flashes, but has already started being dangled to teams. The Penguins have expressed interest. Shawn Matthias - C - Pending UFA - The big centerman is a depth option for buyers. The Blackhawks and Rangers have been linked to Matthias in trade rumours. Brad Boyes - W - Pending UFA - At a prorated 700k, Boyes will provide veteran depth for a contender. Jared Cowen - D - RFA in 2017 - The Leafs have until next year to rebuild Cowen's game, either to trade him or, perhaps, resign him. Teams likely won't be looking at Cowen this deadline unless it's another salary dump deal. Milan Michalek - W - UFA in 2017 - If Michalek were a pending UFA, he would be of interest. But the injury prone veteran is paid $4 million next season, making the likelihood of a deal remote. 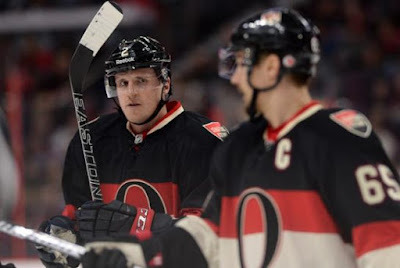 Colin Greening - W - UFA in 2017 - The Senators tried to get rid of Greening and were only able to do so with a team that wanted to get rid of salary itself. The Leafs have uneasy the task of rebuilding Greening's value before the deadline to make him an asset - likely not doable. Joffrey Lupul - W - UFA in 2018 - Age 32, injured, and having a down year. Oh, and he's under contract til 2018. It's hard to see Lupul being of much interest to NHL teams at the deadline. The Capitals, Habs, Blues and Stars have shown interest in the past, but right now it's relatively quiet on this front. Nazem Kadri - C - Pending RFA - Conflicting reports have emerged over Kadri's future with the Maple Leafs. Kadri is still young and has room for growth, but there remains uncertainty as to the Leafs long term plans for him. Another short extension could be in order. The Canucks and Hurricanes have been linked to Kadri in trade rumours in the past. Jake Gardiner - D - UFA in 2019 - Gardiner has thrived under Babcock, but if the Leafs wanted to move him, they would have a lot of teams interested. He seems likely to stay for now, but the Avalanche, Hurricanes and Canucks have shown interest. James van Riemsdyk - W - UFA in 2018 - Despite the fact that he's injured, the 26 year old winger would be highly sought after if made available. Likely stays for now. Matt Hunwick - D - UFA in 2017 - Not every single player on the Leafs will be traded this deadline, but a whole lot will. It's generally presumed Hunwick will be one of the guys who helps hold the fort post-deadline. The veteran blueliner has thrived under Babcock and speculation that he could be traded has ramped up somewhat. Daniel Winnik - W - UFA in 2017 - There haven't been many rumours related to Winnik, but he's available for the right price. He might be one of the guys who stay. 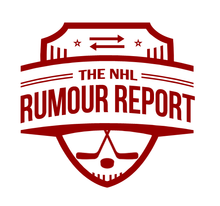 Like us on Facebook and follow @NHLRumourReport on Twitter for more NHL rumour updates!